Walt Disney World guests will get to see Epcot in full bloom starting March 6 when the 26th Epcot International Flower & Garden Festival begins. 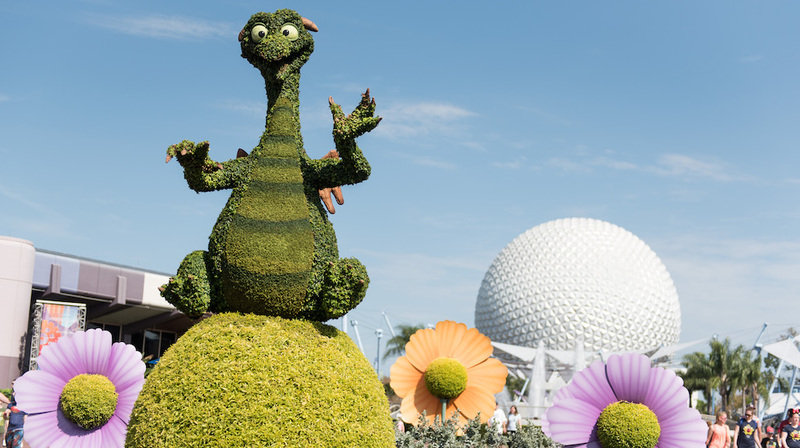 See Epcot in full bloom at this year’s Flower & Garden Festival. This year’s festival will be filled with new topiaries, delicious bites, gardens to play in, and an expanded lineup for the Garden Rocks Concert Series. The popular Garden Rocks Concert Series, which will expand to every day of the festival. You can check out the lineup here. New culinary dishes and several outdoor kitchens will make their debut this year. AdventHealth will host a kitchen along with a nearby playground for kids. A new citrus-inspired outdoor kitchen will feature an exclusive Orange Bird souvenir cup. Woody and Buzz will welcome Bo Peep and her sheep to the Toy Story topiary near the Family Play Zone in Future World East. Spike’s Pollen-Nation Exploration scavenger hunt will be more fun than ever with new locations along the garden pollination trail. 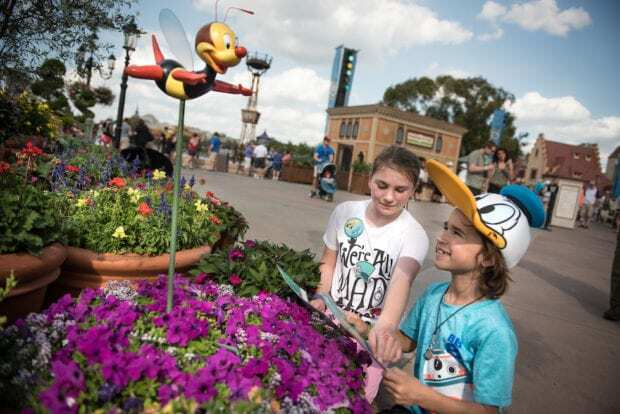 Guests can also find new merchandise featuring the buzzing bee. The Eggstravaganza Scavenger Hunt will also return from April 5-21, while supplies last. To celebrate the opening of Disneynature’s “Penguins,” opening April 17, a 9-foot-tall sculpture made from recycled marine debris will be on display in Future World featuring an adult and baby Adélie penguin. Look for a brand new topiary of Kermit the Frog riding a bicycle in the France pavilion. The Goodness Garden Butterfly House will make a return this year, hosting nearly 1,000 native butterflies in the gardens two dozen nectar plants. Guests will have the opportunity to enjoy breakfast, lunch, and dinner at 15 Epcot restaurants and guaranteed seating for a nightly concert with the Garden Rocks Dining Package, which can be booked online now. The Royal Tea Garden Tour – for a small fee, guests can follow a guide through the tea garden to learn about the history and artistry behind growing and blending tea. A post-tour treat of tea and scones is included. 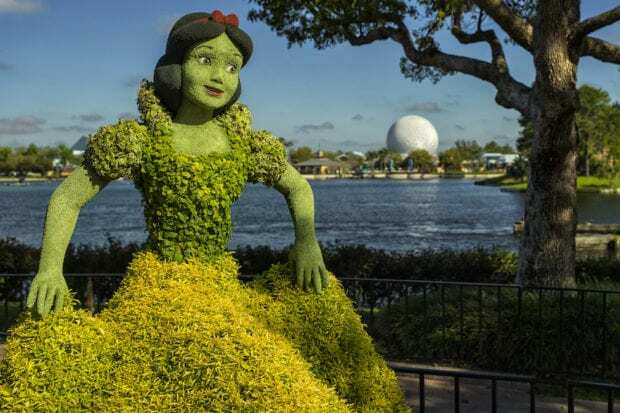 Gardens of the World Tour – join a Disney horticulturist for a three-hour walking tour to explore the topiaries and gardens that make up the Flower & Garden Festival. Guests will learn about the role landscaping plays at Walt Disney World and discover new plant materials and gardening techniques. Guided tours are offered on select days throughout the festival for an additional fee, and park admission is required. To make a reservation for a tour, call (407) WDW-TOUR. To learn more about this year’s Epcot International Flower & Garden Festival, visit FreshEpcot.com or call (407) W-DISNEY.